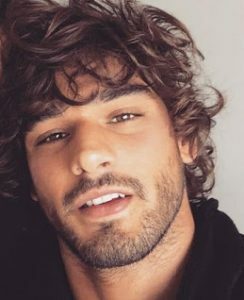 Marlon Teixeira is a Brazilian male model who has walked for numerous fashion shows such as Dolce & Gabbana, Emporio Armani, DSquared², Roberto Cavalli, and Jean Paul Gaultier. He has graced the covers of fashion magazines such as Essential Homme, Fiasco, L’Officiel Hommes, Made in Brazil, Client, and Hercules. He has also appeared in high fashion editorials for Vogue Espana, V, GQ, Elle, W magazine with Ginnifer Goodwin and Vanity Fair with Shakira. In 2011, he became the face of the Diesel fragrance Diesel Fuel for Life Denim Collection. Born Marlon Luiz Teixeira on September 16, 1991 in Santa Catarina, Brazil, he belongs to Portuguese, Japanese, and indigenous descent. He started his career when his grandmother first introduced him to Anderson, the owner of Way Model Management. He was named Most Beautiful Male Model in 2015 by Spanish Glamour. *He was born on September 16, 1991 in Santa Catarina, Brazil. *He is of Portuguese, Japanese, and indigenous descent. *Started his career with Way Model Management. *He was named as the best male model by Client magazine, Hola! in 2011. *He appeared in 2011 music video “Snow” by Philip Kirkorov. *He is friends with Terron Wood, Francisco Lachowski, Caroline Trentini, Andres Velencoso, Danny Schwarz and Joan Pedrola.